Seriously, when these guys have a sale they have a GOOD sale! I have (thus so far) ignored all the sales because there were too many, I didn't have a bottomless pit of cash to spend (I still don't) but my oh my what do we have here! ASOS is huge, it's massive and there are literally 10's of thousands of items. So use the filters. Start with the item range you want to look at ie dresses or tops and then go for your size and finally do the price slider. I always go down to £50 and sort then by price low to high. Here's what's in my basket now - am I naughty enough to checkout? Fan of ASOS or too much and too busy to use the site? I do wish websites would have a filter that said 'don't show me X items or Y'. For example, I'll NEVER IN THIS WORLD EVER want to look at maternity or petite clothes! I have the swing dress - they are fabulous for summer - so easy to wear! I have my eye on a jumper if it comes back in stock in my size! I love the swing dress here because it's from the tall range! ORDERING AND BLAMING YOU! Get the swing dress. 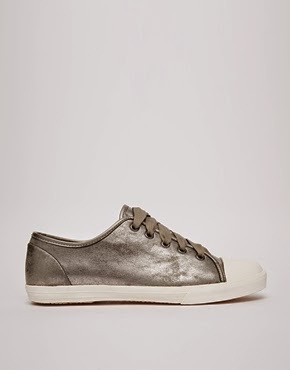 Oooh, and the silver trainers. I never really look at Asos. Oh damn you ... I'm going to have to look now, aren't I?!! I just tried to buy it but it sold out - HOW?? I just flipping blogged about it and I don't have a huge following! That'll learn me! I am kicking myself that I didn't buy it when I could (ie 5 mins before I couldn't)!!! Love ASOS, I've been shopping there for over a decade! One of my favourite shopping sites. I love the variety and the fast turnover as it keeps me coming back and looking. And it's brilliant for stocking high street brands and I can usually get everything delivered to me faster than if the brands were doing it themselves. So yep - love it. Now I have your interests at heart here - step away from the silver trainers. You already have some! I agree that ASOS rocks! I do not have silver trainers! I have my Stan Smiths and I have some KG white ones with silver studs. I do not actually have proper silver ones! Okay - go buy them then.